I love gear. As anyone who has spent time with me will attest, if something has blinking lights, I’m a fan. One of the benefits of covering the NAB Show for the Digital Production Buzz is that I get to design and install all the equipment we use in the booth: power, network, audio, computers and software. This annual event gives me a chance to practice what I preach, as well as work with new hardware in the pressure-cooker of live production. Most of this gear I buy, some I borrow and return after the show. I also obsess over audio quality. It makes no sense to spend this much effort and money creating programming if the shows don’t sound as good as possible. For me, the gold standard in audio is NPR. So, I’m always looking for better ways to get our audio to sound great. On the other hand, we are a podcast, not network radio; our budgets are based on the size of the company credit card. Financial reality always rears its ugly head. 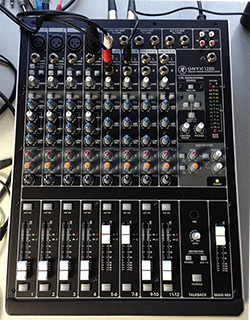 This year, I was really excited to add a new mixer to our equipment list: a Mackie Onyx 1202i. A Mackie 1202 VLZ 12-channel analog mixer has been the heart of our weekly show for the last five years, so I’m a big fan of the brand. I bought this new mixer specifically for our NAB coverage. I also wanted to replace an older Alesis FireBox mixer that still worked, but which Alesis no longer sells. Mackie’s are legendary for their reliability, functionality and reasonable price. But, ultimately, while we took the new mixer to NAB, we never used it and sent it back as soon as we returned home. We got better results with a simple Alesis FireBox mixer that cost half as much. The reasons why are not obvious and apply to more than just a single mixer. And that’s why I’m writing this article. I wrote about our audio workflow in an earlier article – click here – but the short version is that the mixer sends audio simultaneously in two formats: analog and digital. The digital audio, though, is used for all recording and posting. If you listened to the live show, you heard the analog audio stream. If you listened to any posted show or interview, you were listening to the digital recording. 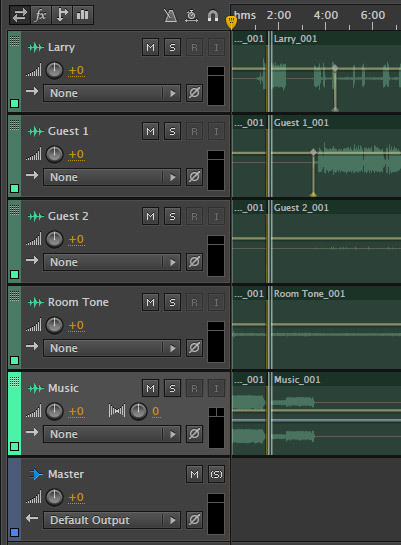 Each stream is recorded to its own track in Audition, so we have independent control over each mic when cleaning up an interview during editing. Because all interviews go to the web, we master final audio levels so that they don’t exceed -3 dB, which works out to about -20 dB LKFS. NOTE: One of the reasons we don’t master levels to 0 dB, is that MP3 compression is optimized for an audio level of -6 dB, while AAC compression is optimized for an audio level of 0 dB. Because we distribute in both formats, we split the difference. As I was testing the new Mackie Onyx mixer in the week prior to the show, it met all my needs for an analog mixer. But, when I sent a 0 dB tone to the mixer, and set all mixer levels to 0 dB, when that signal was sent digitally to the computer, the level arrived at -18 dB! Since Audition makes no level adjustments to incoming audio, that level drop had to occur at the mixer. What makes this significant is that audio levels are logarithmic. For every 6 dB drop in audio gain, we lose 50% of the perceived volume of the audio. So, recording a digital signal at -18 means that we are losing 75% of the audio levels from that signal. Sure, in a digital environment, we COULD boost the gain back, but all we are doing is the audio equivalent of stretching pixels – inventing audio data that wasn’t recorded in the first place. All this does is make the digital audio sound thin and weak. Worse, because we were recording live on the NAB trade show floor surrounded by trade show noise, raising levels in post-production significantly increased background noise. The mixer’s analog audio sounded fine, but the digital audio was totally unsatisfactory. I contacted Mackie Tech Support to figure out what was going on. They knew what the problem was instantly. The short answer, as the support tech explained it, is that analog audio has lots of headroom above 0 dB before distortion becomes objectionable. However, digital audio starts to distort as soon as levels exceed 0 dB. To prevent distortion, Mackie decreased the level of analog signals feeding into digital devices by 18 dB. For this reason, audio levels don’t match between analog and digital audio. Here’s the problem. The 18 dB drop in levels seeks to prevent excessive dynamic range causing digital distortion. But I don’t record uncontrolled mics. Also, the music and commercials I play during the show are also fully level-controlled not to exceed -3 dB. In other words, I have no need of digital headroom on the analog output. All that -18 dB level drop is doing is ruining the audio I’ve spent lots and lots of money and effort to sound good. That article was written in May, 2000. 14 years later, and there’s still no switch on a Mackie mixer, even though the Onyx system is actively touted by Mackie as a “premium” analog and digital mixer. Without the ability to accurately match analog and digital levels, the mixer has only limited value in a digital production environment. And I realized that the only way this situation improves is for me to send the mixer back and write about it. If you agree, share this article with your friends and Mackie. It can’t be that hard to make great analog audio sound equally great when recorded digitally. Hopefully, one day, Mackie will figure that out. Oh! During NAB, we went back to the older Alesis FireBox mixer because the analog sound was fine and 0 dB sent digitally out of the Alesis arrived at -4 dB in Audition. 4 DB I can deal with. This article is an excellent explanation for a situation I have faced for some time. via a Firewire 400 input. However, when importing AIF files exported from Quicktime 7 into Final Cut Pro, we have always had to raise the gain by at least 12 db. Since our booth is isolated and treated with soundproofing materials, we don’t have excessive background noise, so level of noise increase is not as noticeable as in your convention background noise at NAB. While I can work around the low input level, I agree that this should be able to be managed with an adjustment on a mixer of this type. Thanks for clarifying this issue for myself and others. While watching the NAB show this year I noticed that you were using the Alesis FireBox mixer and I immediately looked it up. I was disappointed that they had it in their legacy section. After hearing about your setup, I realized that I need a bigger credit card to do things like you have done. You mentioned that you have separate channels recording to Audition. I’m not sure that I understand how you get that many channels IN to something that I thought would only allow two channels at a time through the Firewire port. P.S. I agree that the level problem exists on many A-D converters. I have a simple M-Audio USB2 mic or Instrument converter that I have to raise a minimum of 9 db in FCPX. Thanks for your sharing your procedures. You are correct. 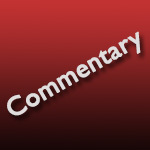 This article details why I needed to switch back to the Alesis mixer. Alesis now has a USB-based Multimix mixer which should do the same thing. Firewire has always supported up to 24 channels of simultaneous audio. I learned at NAB that USB is now capable of handling many more than two tracks of audio, so, in Audition, I simply select the channel I want to record and assign it to a specific track in the software. I came across different operating levels when I had a facility partnering with an audio house who used Pro Tools. He would complain about my “low” levels coming out f my Digital Betacam deck and I would complain to him about his hot levels coming to my on a layback from Pro Tools. The problem is with the reference levels. Seems the audio guys want to “tickle the dragon” and record levels as hot a possible ( I guess 100 db is not enough dynamic range). So they take my -20 dBFS and increase it to the max, just below clipping/distortion. My DigiBeta audio looks very low to them, barely moving the LED “meter”. So your mixer would seem to be digitally set for the “video guys” and not the “audio guys”. In the video world, 0 VU should be -20 dBFS if fed by +4 dbm. I the audio world, IMHO, 0 VU is set too hot, some suggesting -3 dbfs. Of curse this probably is a result of mastering engineers wanting records to sound hot. Most contemporary CDs are mixed as hot as possible. There is no headroom. I’d suggest that you should be able to set your operating levels independently on the analog and digital outputs. One workaround would be to set your digital output where you want it and pad any analog amp on the analog output. If I COULD adjust the digital audio levels I’d be a happy camper. The problem is that if I overdrive the analog audio, all my live sound is distorted. If I don’t overdrive the analog, my digital audio is too low to use. Sigh… I agree with you that there is a mismatch, but it seems that a simple “mic level / line level” switch on the digital signal could make this a whole lot easier to solve. In your comments, I think you said the analog output had enough headroom that it would not distort until the gain was past 0VU. So you could set your digital out at -3 dBFS and your analog audio would be without distortion. But agreed, not a good solution. A separate pot or switch for the digital out would be the best solution, like you say. Thanks for your blogs. I read them every week. Great article and quite timely! Putting my audio studio back together after a move has been problematic. I’m still using an analog 24 channel SoundCraft Studio Mixer that was a $5K bell of the ball when I bought it while dinosaurs still roamed the earth. It doesn’t fit the current room I’m using for a music studio because it is 4′ long and 3′ deep, but it’s crammed in there anyhow. I have been wanting to move to a physically smaller digital mixer but have been vaguely aware that many of the current mixers have some drawbacks that many don’t find out about until AFTER you purchase them. Anyhow, what I need is a mixer that has at least 16 (max of 24) long throw faders, a minimum of 4 (preferably 8 groups), ingests analog audio, converts it to digital audio, and sends it via fire wire and/or USB to a MacBook Pro for use in Digital performer 8. In addition to music, I also send video to Digital performer to lay soundtracks that I make for each project. Ultimate diver to web and DVD/CD as appropriate. I detest many of the audio marketing people trying to make it sound like any round hole in the mixer body is a “Channel” so they advertise based on # of holes whether or not there a long throw fader in line or not. Based on what you’ve written, it won’t be Mackie, but other than the Alesis unit you mentioned, are you aware of anything else that might fill the bill for me? Great questions! And, uh, I don’t have the answer… BUT! Thanks for the reply! I just now got off the phone with an engineer at Presonus. Their StudioLive AI mixers (16,24,32) DO NOT put any PAD in the fire wire digital output, it is totally up to the user to set the trim so the digital out does NOT clip. It makes sense to me. I use Digital Performer 8 as a DAW and that has the ability to control input being feed to it. Haven’t had time to check any other manufacturers yet. I’ve dealt with Sweetwater for some time. I’ll also contact BSW who I haven’t talked with before. Why not buy an 8 or 16 input separate analog device to go from your Mackie’s analog outputs to that soundcard, then into your pc, recording the analog signals to separate tracks inside your DAW? I should not have to buy more gear to fix what Mackie screwed up in the first place. Also, if I did that, why would I need the mixer in the first place? It would be easier to take each mic direct into the computer and mix later. Mackie is not paying attention to how digital audio is supposed to work and hoping that customers won’t notice. Why don’t you then adjust the gain to level out? I always put my dials at 1PM. Nothing I could adjust would allow me to see accurate levels on the meters and output levels digitally at greater than -20 dB. I’ve had similar problems with my Mackie Onyx. While I’ve ended up correcting things by normalising it in post, it’s very disconcerting (to me, anyway!) to have meters kicking into orange on the Mackie and barely moving on Audition. It gives me no confidence that I’m actually recording anything. Like you, I’ve decided to sell mine and get something else. A pity, as it’s a very solid, flexible mixer. Thanks to Ken’s tip above, I’ll be looking at PreSonus. your fear of low levels compromising sound quality is unfounded. First, if you boost the quiet signal, the noise gets boosted exactly equal (and not over-propotional, as you stated in your article). So the SNR stays the same. Second, with 24bit interfaces the need to record super hot signals has dropped sine there’s plenty of bits to store all the information even when the levels are low. With a gain reduction of -18 db, you lose three bits, still 21 remain, more than enough when we take into account a 16 bit recording has a dynamic range of 96db. Learn the difference between dbfs and du! There’s nothing wrong with that desk. Every desk will behave the same! Perhaps. However, two other digital mixers from other vendors did not display this problem. It is considered by many as a ‘best practice’ to calibrate one’s analog mixer to something like 18 dB below digital 0 dB so as to maximize signal-to-noise ratio in the mixer but deliver a safe margin of headroom. The author apparently did not do his homework before spending his money. 24 bit digital audio has a theoretical SNR of over 140 dB. The approach employed by Mackie has been widely adopted and makes very good sense. Thanks for your comment. The challenge I had was that there was no analog mixer in the circuit. The Mackie directly coupled to my audio workstation – Adobe Audition. The levels out of the Mackie were insufficient.